All The Live Long Day: Can You Say Awesome?! 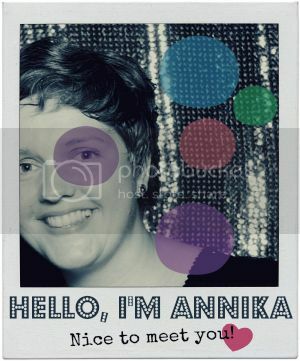 Look what Mandy* found and shared on Pinterest! 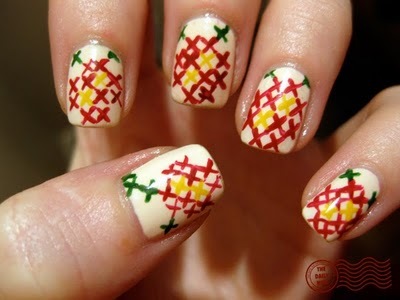 Cross Stitch Nails! You can bet your bottom dollar that I will try this out! This is one of the nail designs from The Daily Nail blog, which belongs to a lady called Melissa. Melissa initially started the blog to document a challenge she set for herself: to do 365 different nail designs in 365 days. She completed this task on October 13, 2010, but now still continues to post many new designs for the sheer love of nail art. Go check out her place and prepare to be awed! Wow they are amazing! My 6 year old is newly obsessed with nail varnish (I blame the school Christmas fair for introducing her to it!) She would go la la for these! Those are fantastic! I'll have to try them out sometime!